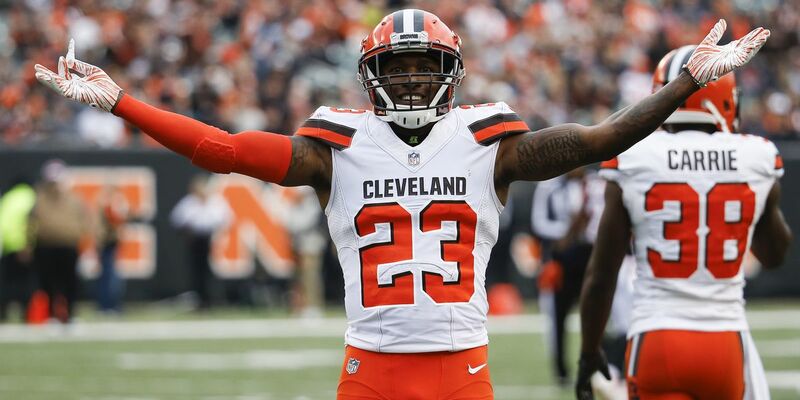 CLEVELAND, OH (WOIO) - The Cleveland Browns are 4-7-1 the year, this is the most wins for the team in a season since 2014. The Browns will look to add another win when the team plays against the Carolina Panthers on Sunday. The Panthers are 6-6 on the year and they are a 1-point favorite to win the game, the total has been set at 47.5. 1. Contain Cam Newton and force him into poor decisions. Last week again Tampa Bay Newton threw four interceptions. 2. Don’t let Christian McCaffrey run wild. The running back has terrorized defenses with his running and pass catching ability. 3. Throw, throw, throw. The Panthers defense has allowed opposing defenses huge plays in the passing game. 4. Don’t do Browns things. The national perception of the Browns is that they find ways to lose games. Newton has thrown 24 touchdowns and 11 interceptions this year, he has thrown a pick in four straight games. The Panthers quarterback has thrown at least two touchdowns in 10 straight games. McCaffrey has been one of the best offensive players in the NFL, the running back has 863 rushing yards and 663 receiving yards. He has 11 touchdowns on the year. The Panthers defense have given up 24 or more points in six games this season.